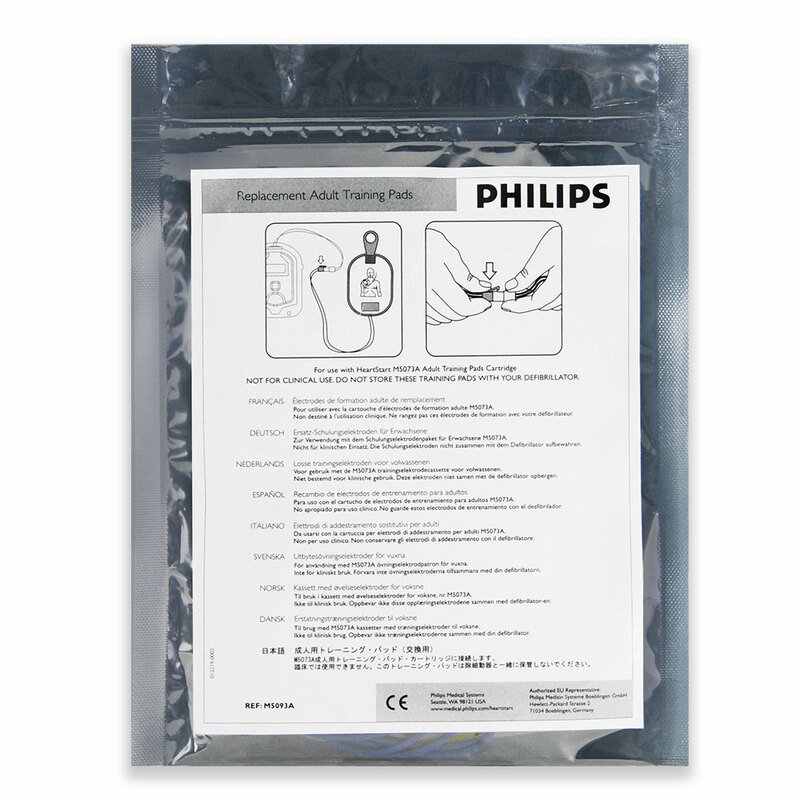 Replacement Adult Training Electrode Pads for the Philips HeartStart OnSite model. Buy this replacement electrode pad gels and cable assembly to replace the worn out sticky portions of your OnSite AED training electrode cartridge. Adult Pad Placement Guide is not included. Placement guides are required if these pads are not being used on a manikin. Using these pads on a manikin will require the use of an External Manikin Adapter or an Internal Manikin Adapter. This was a more economical option for my trainer as opposed to replacing the whole cartridge. IT came in a nice package. (Not too big) and worked perfectly. These training pads are very easy to replace with my current cartridge. I have purchased these before and the pads last several years, even with multiple use over those years. Also the AED superstore was very easy to order from and my supplies came quickly.